A new law waiting to be signed into law by Louisiana governor Bobby Jindal would require that pregnant and brain dead women be kept on life support, regardless of the stated wishes of her family. If the pro-life crowd is trying to disprove accusations that they only care about women to the extent that they are incubators for fetuses, they're not doing a great job. According to MSNBC's Clare Kim, the HR 1274, which easily sailed through Louisiana's conservative state legislature last week, would require that pregnant women who become mentally incapacitated remain attached to life support, even if her husband or family members would like her to be unplugged and allowed to die. The only exceptions to this rule are if a woman explicitly wrote in her legal will that she doesn't wish to be artificially kept alive if pregnant and incapacitated, or if she's less than 20 weeks pregnant. Conservative governor and IRL Kenneth the Page Bobby Jindal is likely to sign the bill into law; yesterday, he decided that a Baptist church was an appropriate setting in which to sign a law that will close many of the state's abortion clinics. The party of freedom and small government strikes again. Laws like this show the sinister underlying belief that anti-choice politicians hold – that women's sole purpose is to have children, and once we are pregnant, our rights to make our own decisions fly right out the window regardless of what we think, our families think, and what medical experts think. And when women suffer unimaginable tragedies in our pregnancies that render us incapable of making our own decisions, those are best left to those who know and love us and to the medical professionals who are charged with our care. HB1274 would essentially codify the legal nightmare scenario that faced the Texas family of Marlise Munoz earlier this year. Munoz collapsed in November 2013, after suffering from either a blood clot or pulmonary embolism. She was declared legally dead two days later, but when her husband and grieving family asked to remove her from life support and allow her to die a natural death, the hospital refused, because Munoz was 14 weeks pregnant at the time. 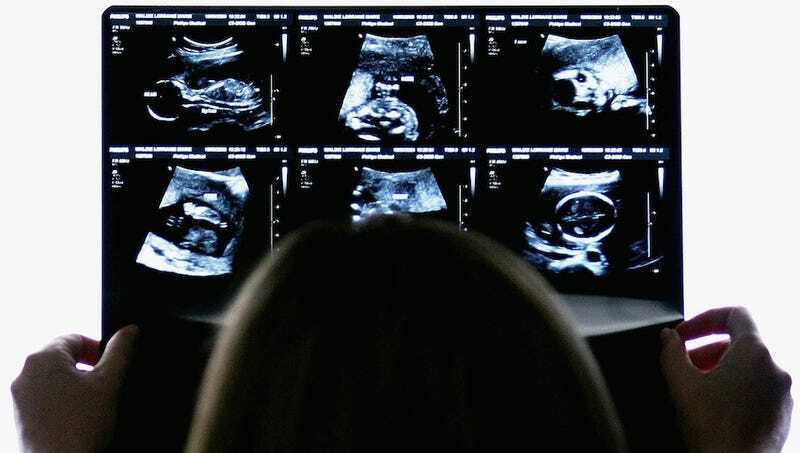 The hospital refused to budge, even after an ultrasound established that the fetus's lower extremities were severely deformed and that fluid had built up in its brain. In late January, a judge ruled that the hospital had to comply with the family's wishes for Marlise's end of life care, and she was removed from life support at 22 weeks pregnant. That heartbreaking nightmare is now inches away from becoming law in Louisiana. So, ladies, if you live in Louisiana and might one day become pregnant or ever plan on having a catastrophic, unexpected, and tragic accident while visiting Louisiana, lawyer up. Otherwise, to the state, you're just a vegetable garden.